We attach great importance in integrating the strengths of our region, whether it is using local solid wood in our furnishings or buying local ingredients for our kitchen. 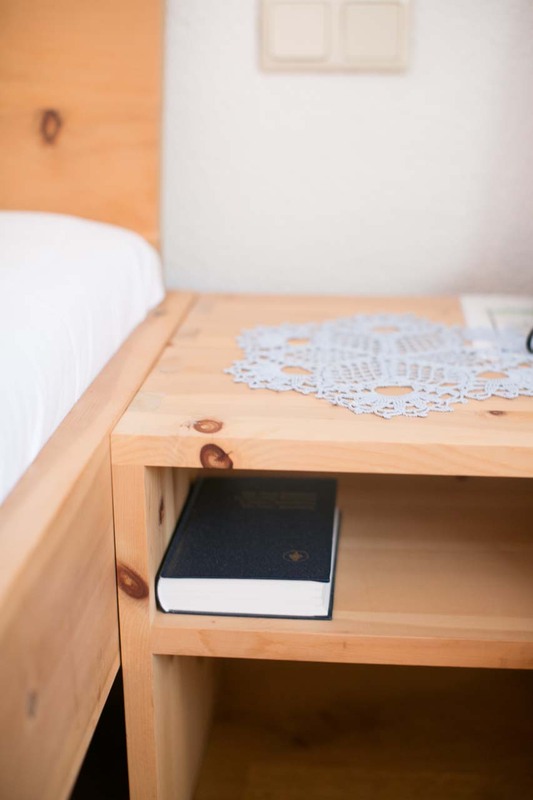 Our guest rooms are appointed with great attention to detail. In our restaurant, guests and friends can meet, whether in the morning at breakfast or in the evening for food and drink while enjoying a wonderful view of the three countries. Behind the doors you will find simple, bright rooms. Clear lines and slender shapes determine this space. Close your eyes, breathe in and out. You will recognize the smell of natural wood. Our beds are accented with anti-allergenic sheets. Each room is equipped with a TV and connected to our WLAN. 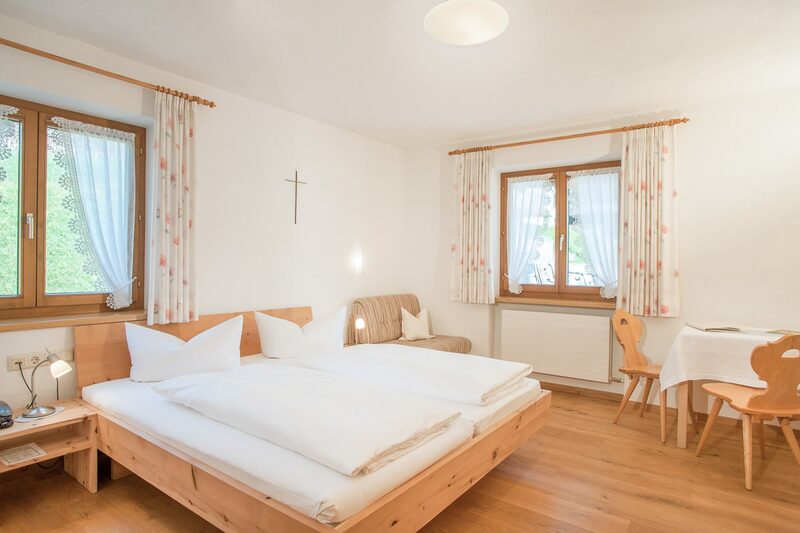 Open your eyes again, relax and enjoy your stay at Dreiländerblick. The prices are per person including VAT but exclusive of the local tax of 1,15 € per person per day. Smoking and having pets is not permitted in the hotel. 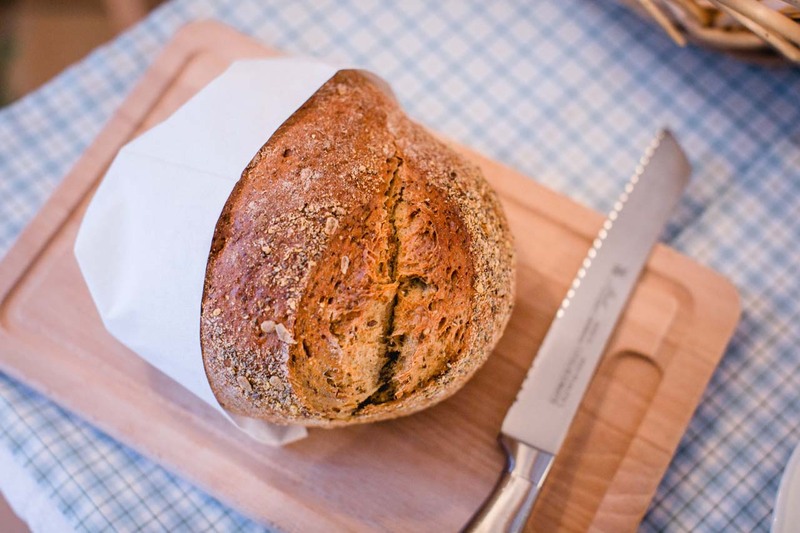 Our day starts early in the morning by putting out freshly baked bread from the bakery. 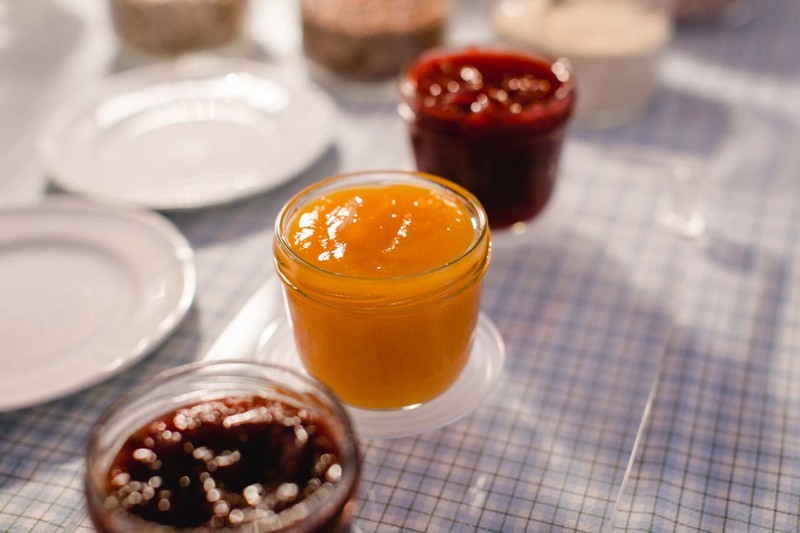 On the breakfast table you will also find homemade jams and butter, cheese and other specialties of the region. Fresh fruit salad provides vitamins and our homemade Birchermüsli gives the energy to start your day. The eggs from free range chickens are prepared à la minute after your wishes. It is worth getting up. A plentiful breakfast awaits you. We are also pleased to offer our breakfast for guests outside the hotel from Wednesday to Sunday 7.30am – 10am, 19 € per person. Please, reserve your spot at least one day before. In our rooms the wood comes from spruce, pine and other natural wood. Our carpenters receive these raw materials from the forests of this region. Wood is able to return its energy like no other material. Our rooms sustain our guests in their sleep through supporting this regeneration process. Dreiländerblick is one of those inns, where locals also like to go when they want to have a nice dinner. Come and enjoy Austrian as well as regional specialties, made with products from local producers. 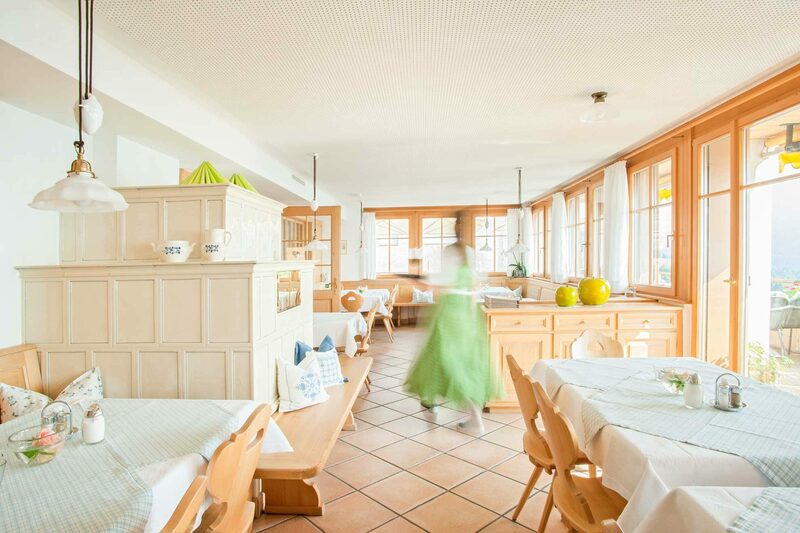 Depending on the season, you can expect specialties such as Martinigans, Alpschwein, Ländlekalb and Käsknöpfle, as well as dishes from wild garlic and asparagus. Complete your visit with our raspberry roulade, which is well-known even beyond the borders of the country.